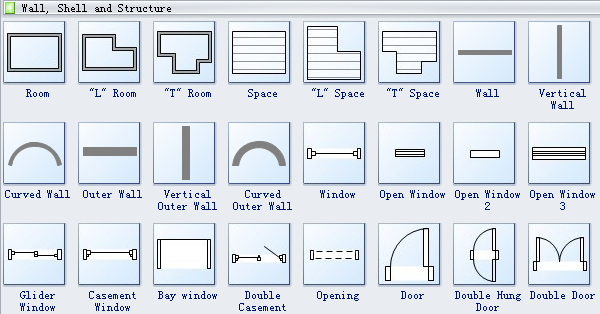 Pre-drawn fire and emergency plan symbols like slide door left, slide door right, fire break glass, emergency ambulance and more are available here. These symbols help create accurate diagrams and documentation. 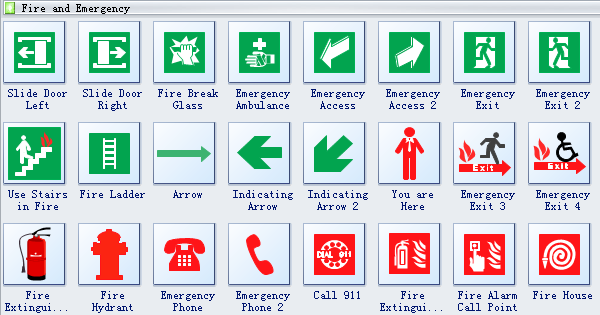 Edraw software provides you many fire and emergency plan symbols like slide door left, slide door right, fire break glass, emergency ambulance, emergency access, emergency exit, use stairs in fire, fire ladder, arrow, indicating arrow, your are here, fire extinguisher, etc. Surely you will find these symbols of great help when making fire and emergency plans. Fire extinguisher a portable device that discharges a jet of water, foam, gas, or other material to extinguish a fire. Emergency exit is a stairway (often on the outside of a building) that permits exit in the case of fire or other emergency. Fire house is a structure or other area set aside for storage of firefighting apparatus such as fire engines and related vehicles, personal protective equipment, fire hoses and other specialized equipment. Download the fire and emergency plan software here. 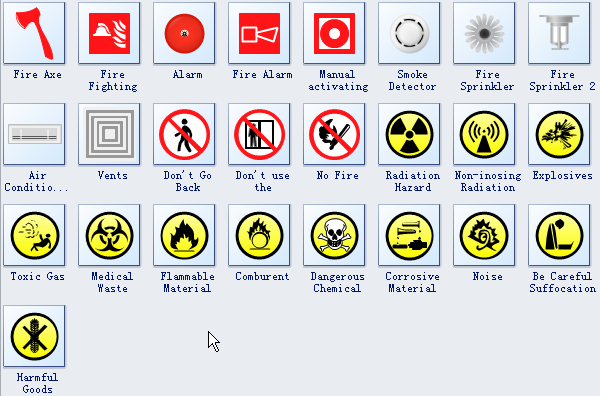 Need fresh looking fire and emergency plan symbols for your design? These fire and emergency plan symbols are a cinch to pop in. And their crisp, fine detail will make spectacular, easy-to-understand diagrams and presentations to your customers.